If chiropractic sounds promising, we encourage you to have a firsthand experience in our Appleton practice. It’s easy to get started. With new patient openings throughout the day, we can arrange a consultation that works into your busy schedule. If you’re the cautious type, email us with your questions or concerns at 920wellnessstudio@gmail.com. We appreciate the opportunity to field questions, clear up concerns and put prospective patients at ease before their first visit. Arrange a private consultation. Use this time to describe your health issue and share your goals. This is often helpful in determining if you’re likely to be a good candidate for chiropractic care. The sooner you take action, the sooner we may be able to help you. Contact us and get started today! Subluxation is the kind of word that makes many people’s eyes glaze over. It is a very important chiropractic term, however, and a large basis for the theory behind the practice. To understand what it means, you have to know a little bit about the anatomy of the spine. Your spine has many vertebrae from your neck all the way down to your tailbone. These are aligned parallel to your back when in balance. Subluxation is when the vertebrae are twisted one way or another. The causes of subluxation are generally said to fall into three main categories. The first cause is subluxation from a physical impact. Your spine can be physically affected by things like playing sports, sleeping in a bad position, or getting into a fender bender. These impacts can knock or nudge the vertebrae out of alignment and lead to subluxations. The other two causes, subluxation from emotional and chemical influences, are more subtle. If you have periods of high stress this can cause your muscles to tense up. Other negative thoughts and experiences can also affect your levels of tension in your back and neck. This pulling from tight muscles draws some of your vertebrae out of alignment. In a similar away to your emotions, chemicals can throw off your interior balance and cause muscles to draw your vertebrae out of balance. Poor diet, drugs, smoking, and pollution can all contribute to a toxic environment within your body. The symptoms of subluxation are numerous and can touch on almost all areas of your health. Emotional problems like anxiety and depression can emerge from certain vertebrae being out of alignment. Physical problems like pain, soreness and headaches may result from others. It is important to be evaluated by a chiropractor regularly so they can check your spinal alignment before subluxations accumulate and affect your health. Treatment for subluxation is quite simple; you need to have an experienced chiropractor adjust your spine and work on existing subluxations. Even if you are not having pain or soreness at the moment, there will likely be some alignment issues that an adjustment will help. In addition, practices like yoga and meditation can help prevent new subluxations by keeping stress out of your body and keeping your muscles from holding too much tension. Sometimes a specific, highly-accurate thrust is used. Other times an instrument delivers carefully directed energy, or a slow, constant pressure is used. Several areas may be adjusted, or just one. Sometimes a popping sound or a “cavitation” is heard. Patient preference for technique is always taken into account. What is safest and most effective for each person may vary, so treatments will always be individualized for maximum benefit. Yes. A government study found that adjustments are “remarkably safe.” Chiropractic care enjoys an excellent track record. A thorough exam can identify the rare person for whom chiropractic care might be unsuited. Of course. When developing a care plan, your chiropractor considers the unique circumstances of each patient. There are many ways to adjust the spine. The method selected will be best suited to your age, size, and spinal problem. Chiropractic helps with fertility before conception even begins. A properly aligned spine allows the nervous system to flow optimally to the reproductive organs. If these organs are not receiving the proper messages from the nervous system, fertility could be compromised. Chiropractic adjustments help to realign the spinal column to alleviate any subluxations. One of the most important times for a woman to receive chiropractic care is during her pregnancy. From the moment of conception, your body goes through a series of changes. The nervous system is so important that the first cells to differentiate at about 7 hours after conception become the brain and spinal cord! This miracle unfolds perfectly – unless there is interference. Back, pelvic, and postural changes can cause unwanted pain and discomfort. 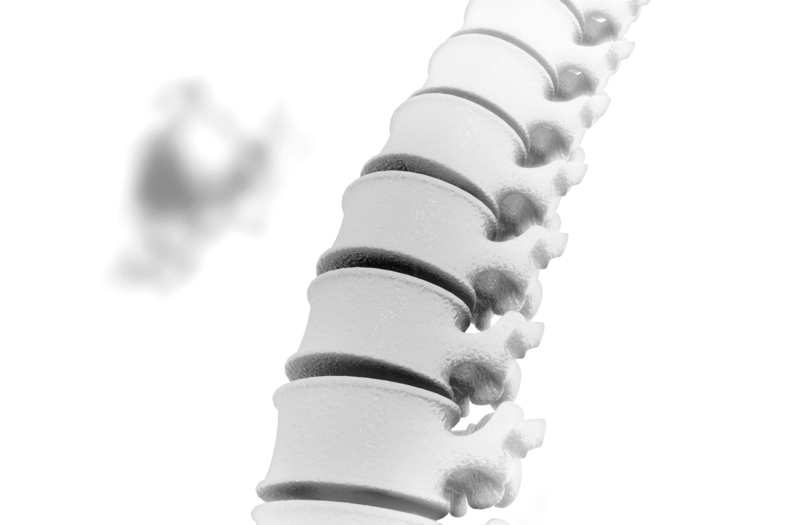 Your spine is made up of 24 independent vertebrae that enable your body to twist, bend, and move. It also helps protect the delicate central nervous system that controls and coordinates every cell, tissue, and organ of the body. Subluxations of the spine, commonly know as joint dysfunctions, occur when two or more vertebrae become restricted and impede the body’s ability to communicate with itself. Joint dysfunctions during pregnancy can be caused by the changes taking place in your body as it prepares to support you and your new bundle of joy. Changes such as weight gain in the abdomen, poor posture, and rotation of the pelvis force the body to unnaturally adapt to additional stress placed on the spine. These changes negatively affect joint function and nerve communication throughout the body. Chiropractors are trained to locate and correct subluxations by applying a gentle, targeted movement to the body’s spinal column and extremities - where and when needed - restoring proper joint function and improving nerve communication throughout the body. This non-invasive technique is commonly known as a chiropractic adjustment. Millions of expectant mothers look to chiropractic for it’s safe, natural, and drug-free approach to pain relief and prevention for a healthier, happier pregnancy. Most pregnant women are referred for lower back or pelvic pain associated with pregnancy. This includes localized lower back pain, sciatica (radiating leg pain), groin pain, and leg or thigh pain. Some patients present with middle back pain, rib pain, neck pain, or headaches. Chiropractors can also help determine if the fetus is not in the optimal position for birth, such as breech, transverse, or posterior. Proper nutrition is another essential factor to maintain a healthy pregnancy. Be sure to incorporate good sources of protein, iron, calcium, and fruits and vegetables into your diet in addition to a proper prenatal supplement. Finally, be sure to stay hydrated by drinking approximately eight 8-ounce glasses of fluids per day. Please contact 920 Wellness Studio for a consult and supplementation. Chiropractic can help new mom and infant as well! An estimated 60-90 pounds of force is used on an infant’s head during normal delivery - do you think this could cause damage to your new baby's spinal column and nervous system? Chiropractic can help alleviate joint dysfunctions or subluxations to both baby and mom after birth! Breastfeeding as well as bottle-feeding infants can cause muscle irritation and subluxations in mother as well. The sleepless nights and multiple feedings cause both mom and baby to lack the perfect posture, not to mention latching issues. Often times babies are diagnosed with tongue-tie when in all actuality they have torticollis from birth. Torticollis occurs when a baby’s neck is twisted, resulting in the head tipping to one side while the chin points upwards, often a normal result from birth. Chiropractic care can also alleviate any pains that baby may be experiencing and thus alleviate latching issues. Adjustments can also help to improve any mid-back or neck pain that could have been caused to these daily routines of breastfeeding and bottle-feeding.